We will exhibit new installation work that collaborated with Junko Koshino in Setouchi triennale 2016. The exhibition opens from March 20th 2016. 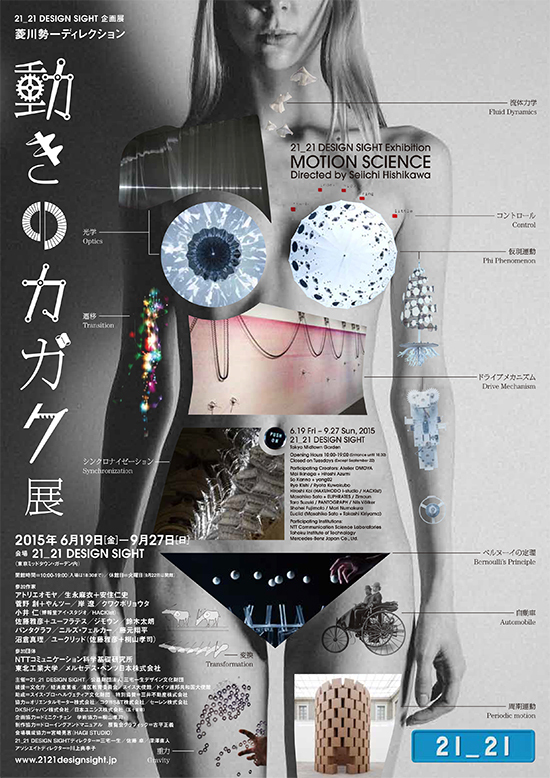 We will exhibit new installation in “motion science exhibition” at 21_21 DESIGN SIGHT. The exhibition opens from June 19th 2015. Atelier OMOYA web page has been renewal. Currently English pages are not fully translated. We are now working on that process. Copyright © 2014 Atelier OMOYA all rights reserved.